Google surprised us with the unveiling of a custom image processor inside the Pixel 2, and it could be the best feature of all. The Pixel 2 is an incredible phone in large part because it has such a great camera. And it’s about to get even better. Google has revealed in a blog post that a hidden hardware image processor called Pixel Visual Core wasn’t even turned on in our review units. And yet the Pixel 2 still produced some off the best shots we’ve ever taken with a smartphone. No matter which Pixel you choose—Pixel 2 or Pixel 2 XL—you get the same awesome portrait and low-light performance from a single 12MP, f/1.8 lens. But Pixel Visual Core has the potential to improve images even further. Portrait mode can get crisper. Low-light shots can get clearer. Zoom can get more powerful. The Pixel 2 phones go retail this Thursday, but over the coming months Google will push machine-learning software updates that leverage Pixel Visual Core, unlocking even greater processing abilities and expanding the Pixel 2’s photo smarts to third-party apps. 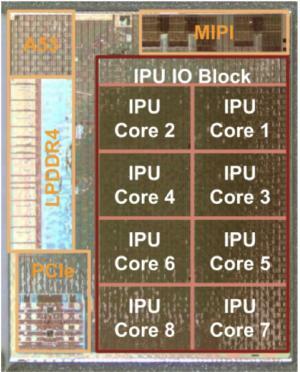 Google’s Pixel Visual Core processor has a whopping eight cores dedicated to image processing. Pixel Visual Core, Google’s first in-house-designed silicon, is a second chip that accompanies the Snapdragon 835. Since Qualcomm doesn’t allow manufacturers to integrate custom processors into the Snapdragon chip design, Pixel Visual Core is a standalone, eight-core image processing unit with its own brain and dedicated RAM. That means it’s fully programmable and within Google’s control. You might not see an immediate difference in your photos when Google turns on Pixel Visual Core in the upcoming Android Oreo 8.1 update, but the infrastructure will be vastly improved, specifically with regard to Google’s HDR+ tech. According to Google, HDR+ using Pixel Visual Core can run five times faster and use less than 1/10th of the energy than when running off the standard processor. That’s a serious advantage that no other Android phone can claim. A faster, more efficient camera is just the tip of the iceberg. Pixel Visual Core also unlocks HDR+ for third-party camera apps, meaning you won’t have to use the stock camera app anymore to take the best photos. Pixel Visual Core will be an option in the Android 8.1 developer’s preview before Google brings it to the Android Camera API, so optimized apps should start arriving shortly. Now third-party apps will be able to take the same great HDR+ photos as the stock camera app. That’s good news for fans of apps like Camera Zoom FX and Camera FV-5. Now the Pixel 2 will be able to take better photos than other Android phones even if you’re not using the stock camera app. And it portends great things for the future: Google is already working on the next set of applications for Pixel Visual Core, and it will surely bring more features to third-party apps as it matures. The upshot is developers will want to design apps that are specifically geared toward Pixel 2 users. 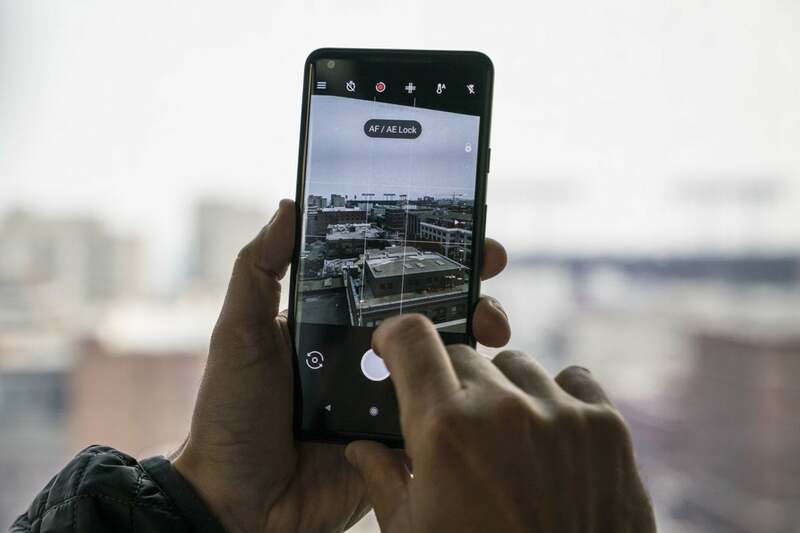 The Pixel 2 already has a big lead on the best phones from Samsung and LG when it comes to image processing, but Visual Core could make the Pixel 2 virtually untouchable as a photography tool. Pixel Visual Core’s biggest advantage may be the way it helps Google prepare for the future. 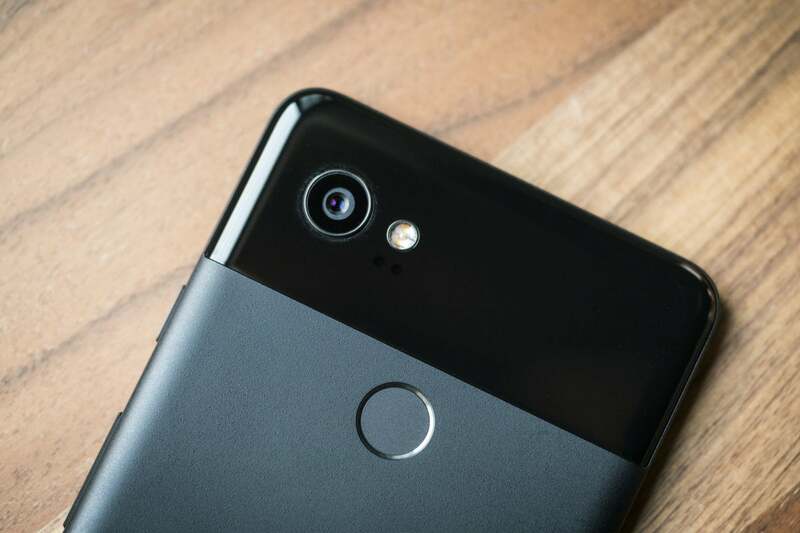 A custom, programmable chip gives Google the ability to constantly update its camera with better algorithms, and the company’s machine-learning capabilities will keep the Pixel 2 camera experience current and innovative in the lead-up to Pixel 3. In short: The Pixel 2 you buy today will take great pictures. But a year from now, it’ll take even better ones. You can take great pictures with the Pixel 2, but you’ll be able to take even better ones next year. That’s a competitive advantage, because Samsung, LG and other flagship phone manufacturers probably don’t have the hardware (because they rely on stock Snapdragon) or the software (because they’re not machine-learning experts) to constantly iterate. Sure, you can buy a Galaxy Note 8 or an LG V30 and get a dual cameras with better specs than the Pixel 2. But it’s unlikely Samsung or LG will push software updates that improve their image-processing algorithms in any meaningful way. So if you’re on the fence about which phone to buy, Google just gave you a major reason to pick the Pixel 2 over any other flagship. And it’s one more reason for Samsung and LG to be concerned.